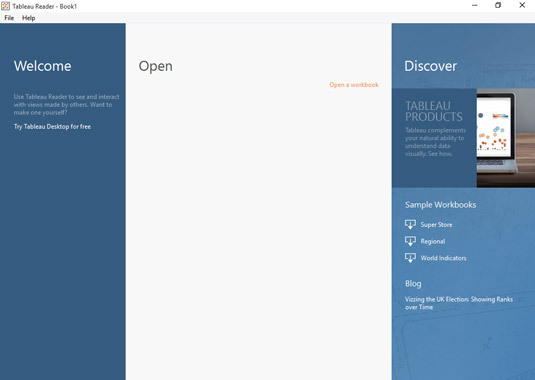 Tableau Reader can only open Tableau-packaged workbooks. 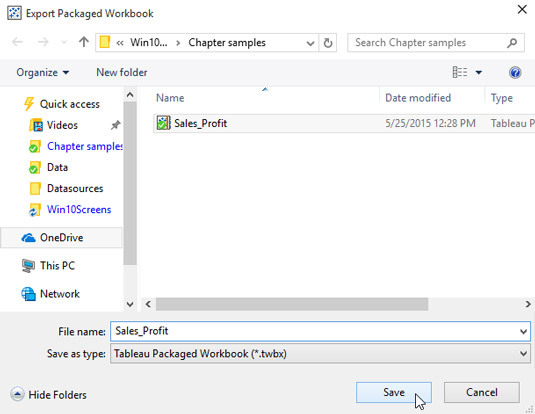 Packaged workbooks are Tableau workbooks that can contain the data within them. To include the data, you need to use a file-based source like Excel or CSV, or you will need to extract your data from the source using Tableau Data Extracts. Fortunately, it’s very easy for you to produce these workbooks for distribution. Tableau Reader does not offer the same level of security as Tableau Online or Tableau Server, which require a user to input credentials. Tableau packaged workbooks can be forwarded and viewed by anyone. If your workbook contains sensitive information, you’ll probably want to share it using Tableau Server or Tableau Online. With the workbook you want to prepare open, choose File → Export Packaged Workbook from the Tableau main menu. 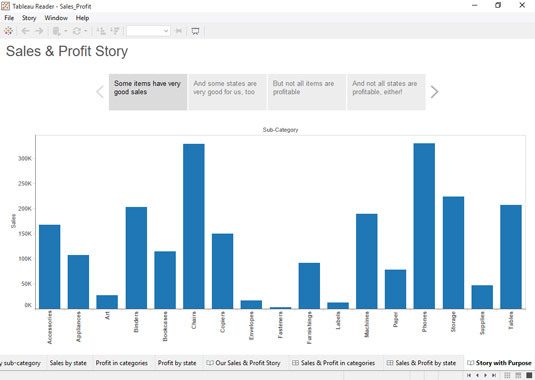 Export your workbook as a packaged workbook for use in Tableau Reader. Using the Export Packaged Workbook dialog box that appears, navigate to the location where you want to save the packaged workbook and make sure that you provide a descriptive name in the File Name field. Use a descriptive name so that users will know the purpose of the workbook. Click the Save button to save your workbook. You can save the packaged workbook in a location that users can access on your network, or you can send it to them as a file attachment to an email message. Open the Tableau Reader to display the Start page. The Tableau Reader Start page. 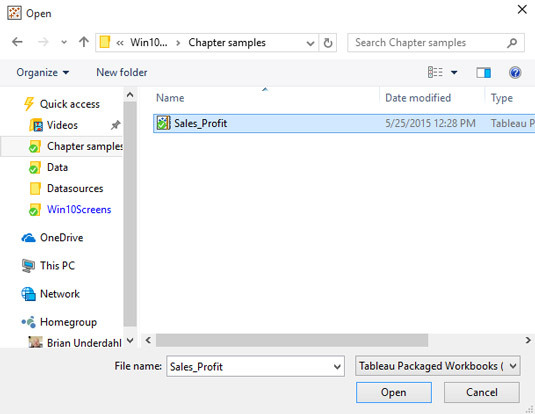 In the Open section in the center of the window, click the Open a Workbook link to display the Open dialog box. Choose the packaged workbook to open. Using the Open dialog box, navigate to the location where the packaged workbook is saved and then select the correct packaged workbook. Click the Open button to open the workbook. The packaged workbook is open in Tableau Reader. 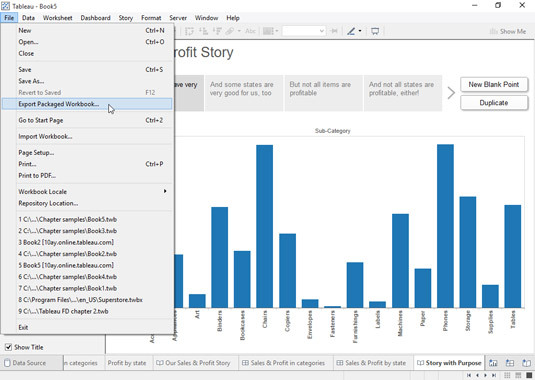 Tableau Reader users will be able to view and interact with your worksheets, dashboards, and stories, but they won’t be able to modify your workbooks.